Don Kitch joins me to talk about the art of racing in the rain, as we sit together at Pacific Raceway in Seattle, the very place where Garth Stein’s book, The Art of Racing in the Rain, came to life – and the “home” of the upcoming Patrick Dempsey movie. Don and I dissect eight of my Speed Secrets that are aimed at driving fast in the rain, as well as our love for simply being at a race track. Don and I have been close friends for over 25 years, and have worked together throughout that time, sharing a race car at Daytona with Team Seattle, coaching drivers, conducting high-performance driving schools, and having our luggage get lost during air travel. Don is the owner and chief instructor for ProFormance Racing School, and the founder of the Team Seattle program that has raised millions of dollars for the Seattle Children’s Hospital. He began racing in 1982… and some think he will never stop! 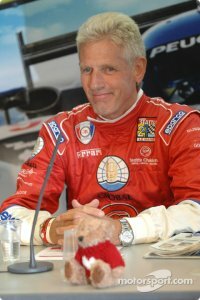 For sure, he will never stop sharing his knowledge and passion for high performance driving.